To print the diagrams you should set your printer preferences as "Scale to Fit" or whatever similar setting your printer offers. If you're planning serious electrical work and have a bike other than the models listed below please purchase a proper manual. Check here, there might be a PDF of your service manual available for download. 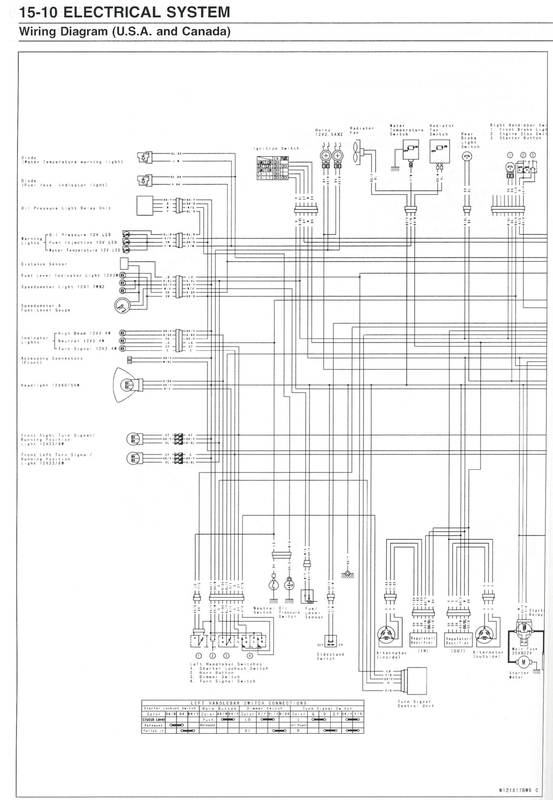 Wiring Diagrams for the Vulcan Classic are probably identical but test connections to be certain before hooking things up or making any modifications. Most likely the same for the 1600 Mean Streak and Suzuki Marauder. From the VN1500P1 Service Manual.